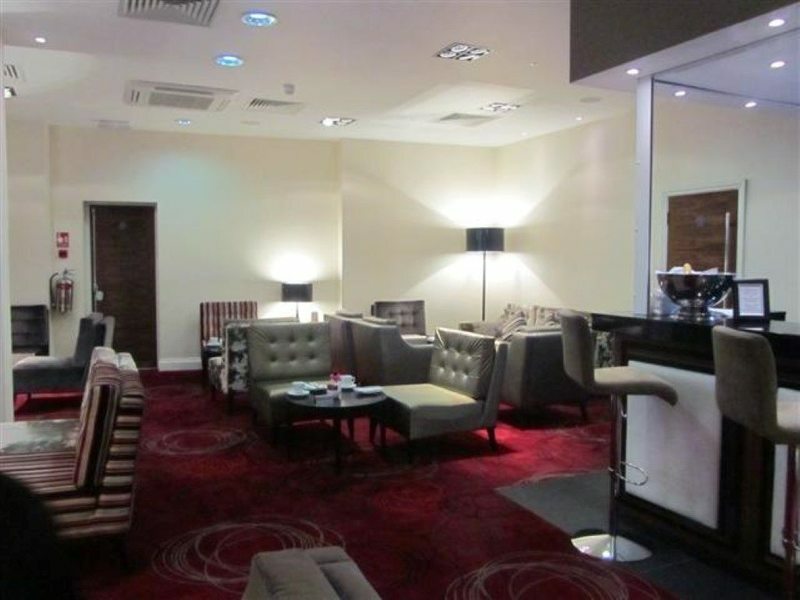 The Mercure Hotel in Bloomsbury has recently been refurbished. 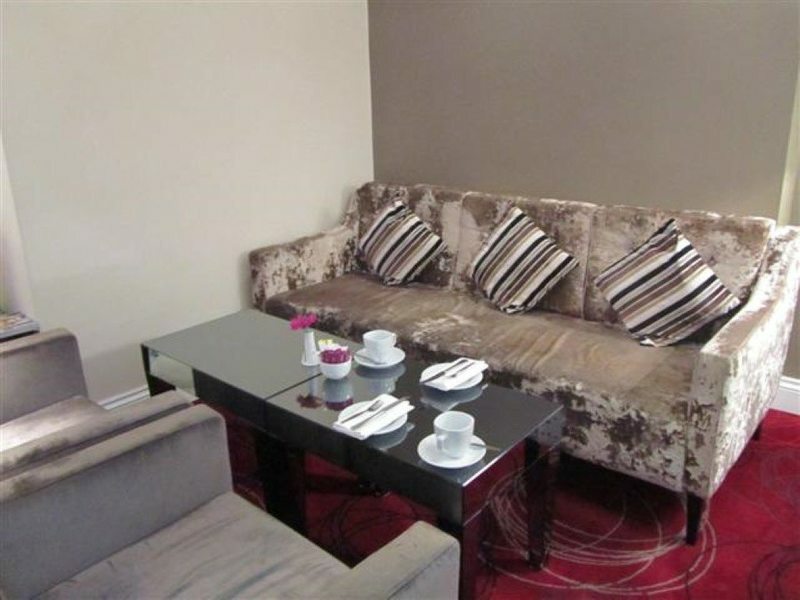 The area for our Afternoon Tea was made up lovely velvety sofas, buffet stools, lots of creams and reds for the decor and tinted mirrored tables. Cute pink gerberas decorated the tables. The area where we were seated was near to the bar, but it all felt very spacious and not at all cluttered. 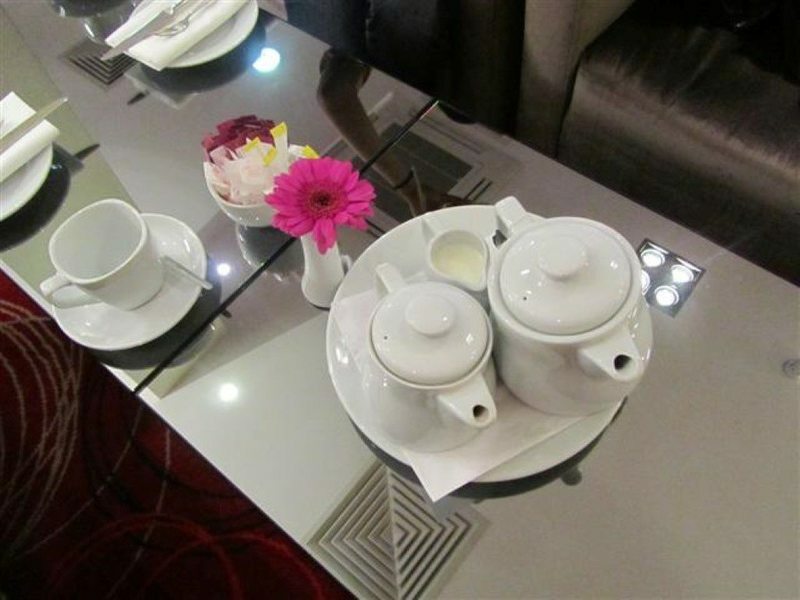 Two white teapots were presented on a plate with a small jug of milk. The larger teapot contained the English Breakfast tea and the smaller had hot water. The tea was good and it was teabag tea not loose tea leaves. The three tier stand had all our food selection for the afternoon. 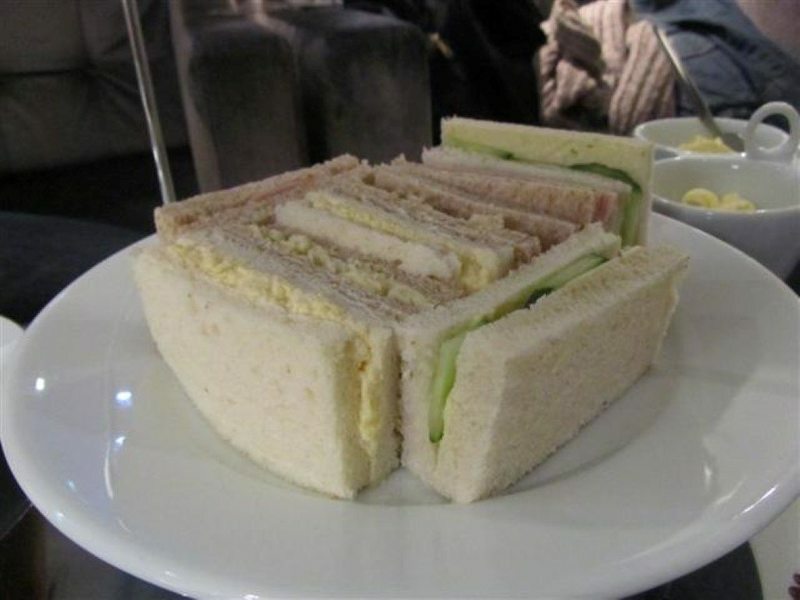 The finger sandwiches were made with white and brown bread. It was a refreshing change that the egg sandwiches were made with scrambled eggs instead of the regular egg mayonnaise. 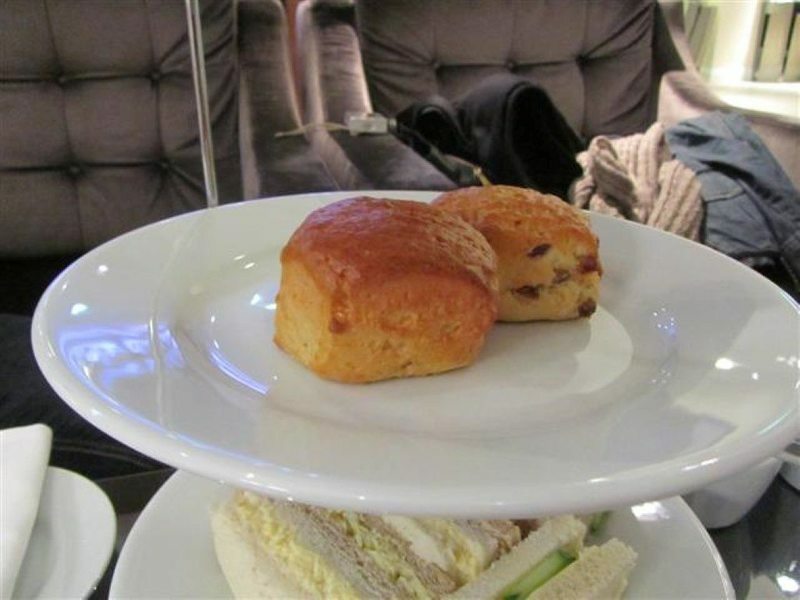 There were also cucumber sandwiches and ham sandwiches. The bread and the fillings all tasted very fresh. Now onto the fruit scones. They were of a big size and served with fresh clotted cream, strawberry preserve and ribbons of butter. 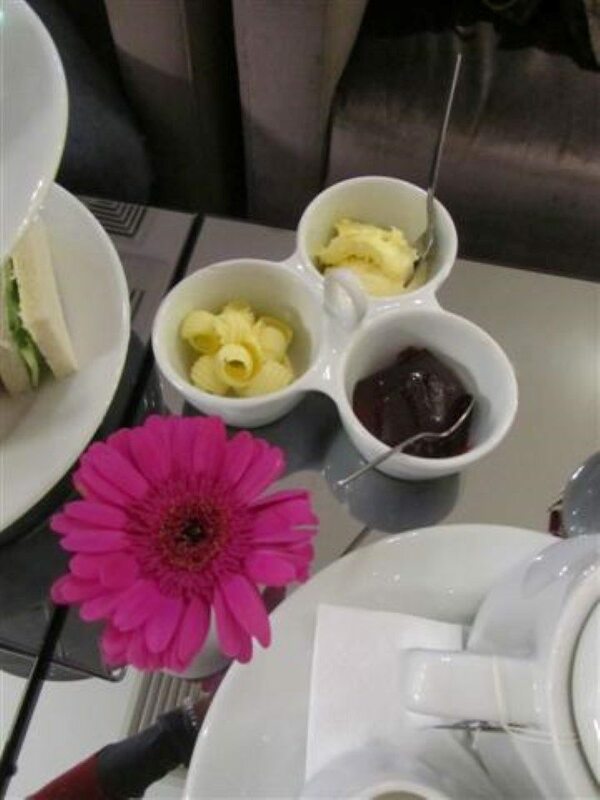 It was nice that the cream, butter and preserve were served in a three compartment serving dish. The scones with the clotted cream and strawberry preserve went down a treat. After a long while, a few more cups of tea and lots of chatting, we were ready for the top tier of cakes. 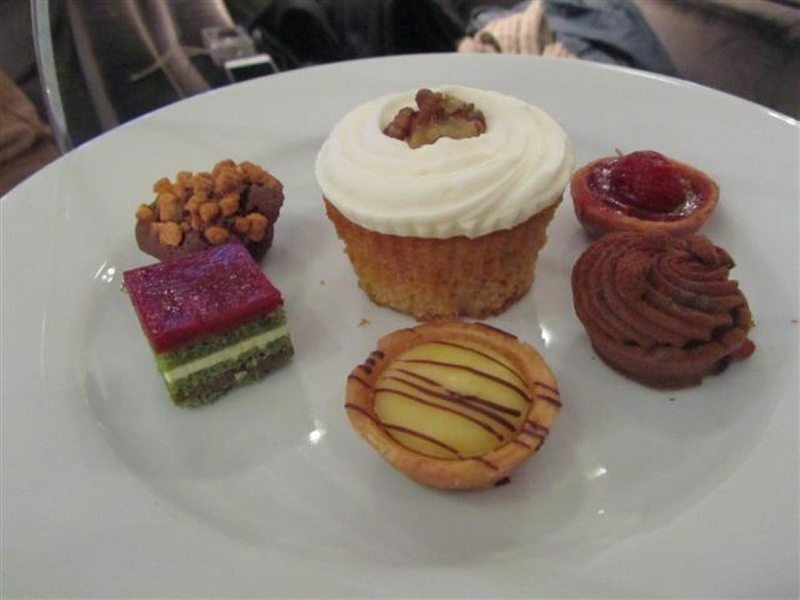 There were two small fruit tarts, one was raspberry and the other was lemon. Both were not overly sweet and had quite a tang to them. Both the chocolate tart and chocolate cake were fairly rich as to be expected. The pretty green layered cake, I thought would have been pistachio, was just green sponge. It had a cream filling and a layer of jam as the topping. It was nice enough. The big cupcake was carrot cake and was topped with frosting. It had a good flavour to it. 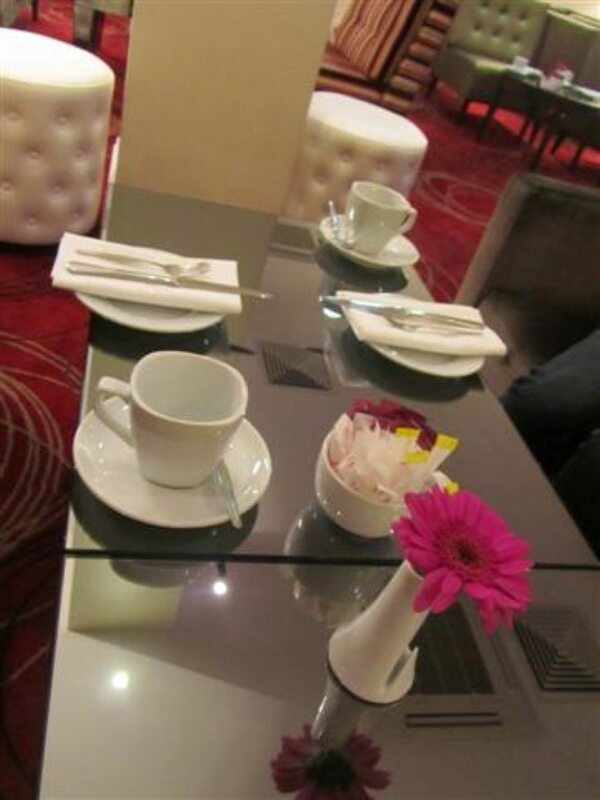 The staff were really friendly and gave us more refills of fresh tea when we asked for it. They let us take our time and even though we were there for the whole afternoon and into the early evening, they did not make us feel that we were taking too long. 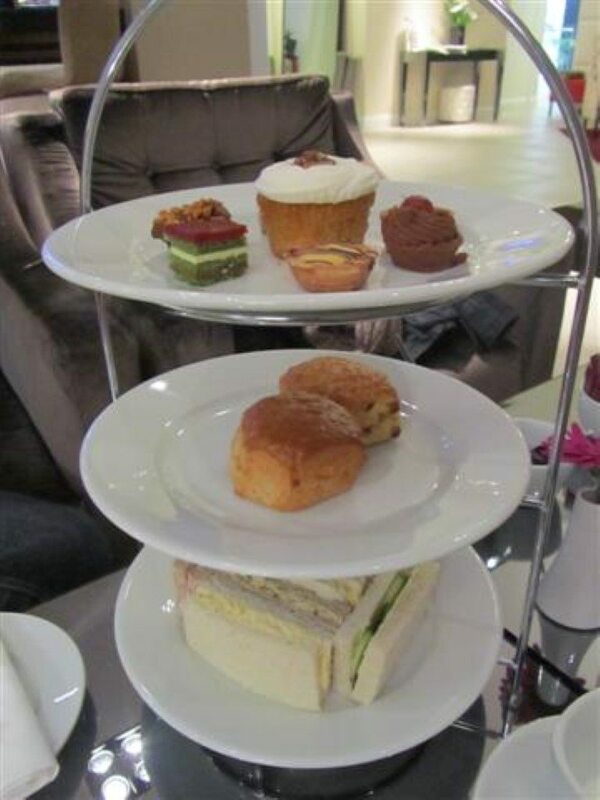 The whole Afternoon Tea was special with great food, good tea, a relaxed luxury atmosphere. But what made it just perfect was the quality time spent with my cousin, catching up for hours on end on fun life stories and adventures.